Owning a cat is one thing, and taking care of it is another. One of the greatest, yet challenging thing about taking care of a cat is when you feed it. Generally, cat care entails proper feeding, some TLC, cleaning, and regular health checkups. 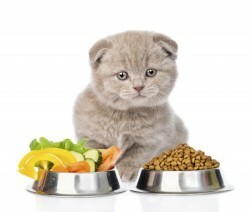 Feeding your cat might seem challenging because the cat tends to eat more often compared to a dog or a human being. Also, you might not find it appealing to hang around a hungry cat. This means that you should feed it at the exact time. Proper choice of food is also a top priority when feeding your cat. One important fact should know when it comes to feeding your cat is never to feed them with dog food. First off, dog food contains high levels of carbohydrates, which can lead to obesity and diabetes in the cat. Cats are generally inflexible with their nutrition, so avoid giving them just any food you have in the house. Normally, your cat will need a lot of meat to supply her with enough proteins and fat. The cat food you buy must be well-balanced for a healthy growth. Also, you will need to purchase the food depending on the age of your cat. You can ask for age-appropriate cat food from your local pet store. You should ensure that you brush the cat’s coat regularly, and ensure that their skin is also kept healthy enough. This helps to limit hairballs on the coat and excessive shedding of the fur. Also, it prevents matting around the house. Clipping the cat’s claws prevents them from extending into the paws and keep them tidy enough. You will also not experience unwanted scratches when you carry the cat. When you groom your cat properly, you will also discover any injuries, fleas, or lumps on the pet. As usual, cats tend to have an unmatched pride, and they are naturally clean. That is why a well-trained cat will always want to use a litter box. Ideally, scoop the litter box once in a day, and wash it occasionally with hot water and dish liquid. Due to the natural behavior of the cat, you should place the box in a quiet place that is cbonvenient enough. If you intend to have a new cat at home, you should first take it for immunization and any relevant checkup. It is also advised to schedule for your cat to be neutered, especially if he has reached the right age. Doing so will keep your cat happy, and avoid strange behaviors like trying to claw through the window. Cats are naturally playful, and it is your duty to provide them with the right playing items. For instance, you can get her a string, toy mice, feathers, or design an empty box for them to play inside. The good thing about these items is that they are not expensive, and you can even use your home-based supplies. Always ensure that you observe proper cat care approaches if you want to have a healthy relationship with your little buddy. Suppose you have a tight schedule and you want to manage your cat feeding with perfection, then you might want to go for an automatic cat feeder for a reliable feeding time. For instance, a cat water fountain can provide ever-running fresh water for your pet.